Ear syringe is used for effective removal of earwax. Ear Syringe is a part of ENT instrument which is used to prevent infections in the ear. The patient faces discomfort when the earwax is not removed properly. The ear syringe should be filled with the right medication that can facilitate the easy removal of the foreign particles and earwax. Ear Syringe helps to prevent ear infections. Ear Syringe is made of Metal. 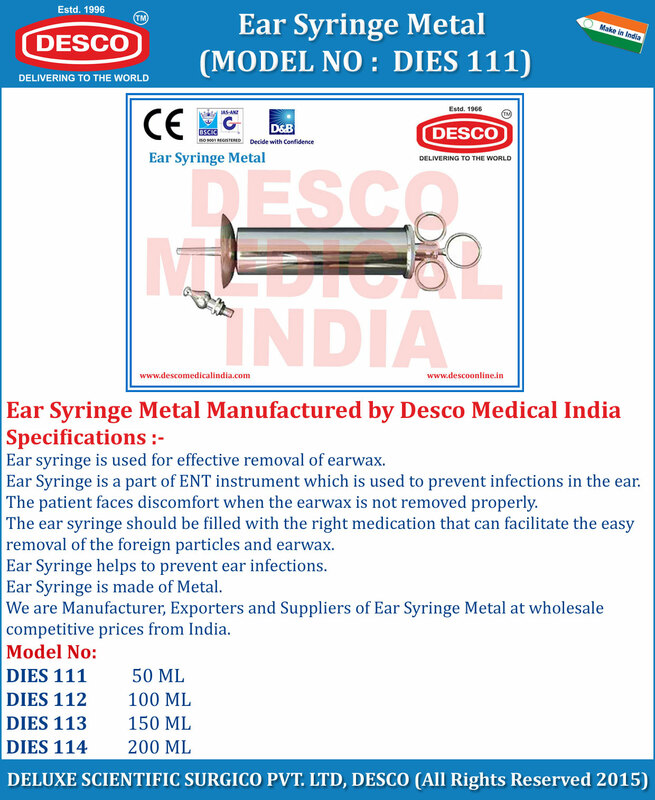 We are Manufacturer, Exporters and Suppliers of Ear Syringe Metal at wholesale competitive prices from India.